Simple hair style for today. It's a jumbo flat twist that I twisted forward to create the ridges in the front. 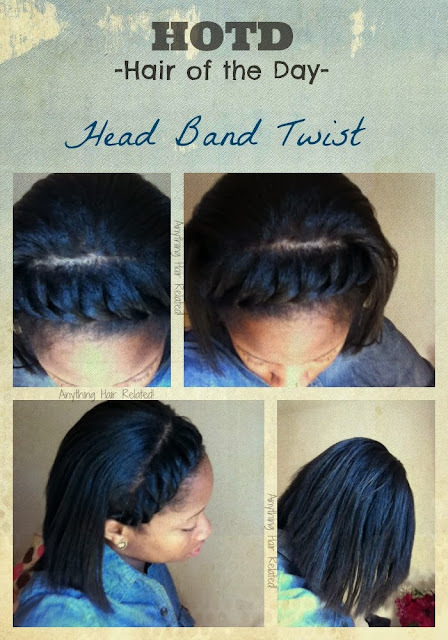 2 comments on "Hair of the Day: Head Band Twist"
Oh gosh! This is super cute!